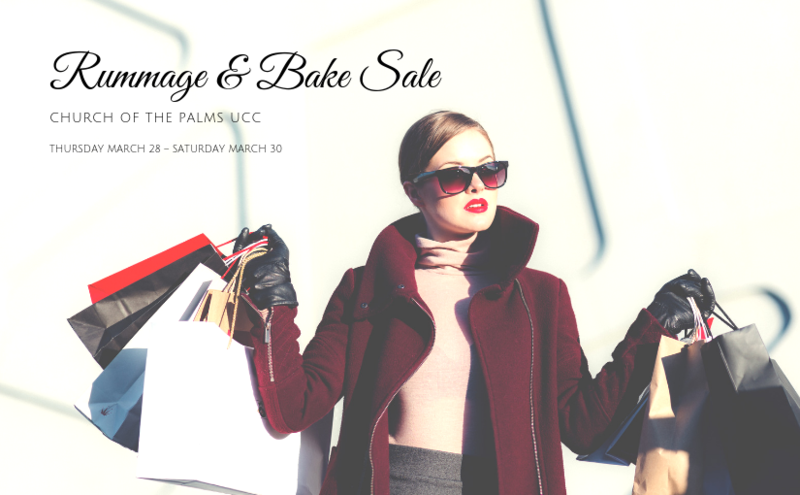 Thursday, March 28–Saturday, March 30: Rummage Sale and Pop Up Bakery! You’ll also be able to use a credit card for all purchases of $100 or more. The organizational meeting is for volunteers and all those interested in finding out more about the sale. Or sign up on one of the volunteer sheets in the narthex or office. We need lots of help and we would love to have you be involved. If you’ll be baking something for our wonderful bake sale, please plan on filling out the bake sale sign up sheet which will be available in the narthex. Now’s the time to go through your closets and storage areas and donate those items that have served you well but now need a new life with new owners who’ve been looking for just such items. Your donation items will be sorted, priced, and staged for the Rummage Sale! If you need to have an item picked up prior to Sunday, March 24th, please contact John Durbin. More details will follow. Thank you very much! We’ll do it all again in October . . .!